Bespoke Garden Office Custom Made for a Student to Study in. Bespoke Garden Office, Custom Made just for you. We were contacted by a lady in Surrey to help solve an extra room problem. Her teenage son was back from uni and could not have his old room back so an extra room / office was needed for him to study in. The garden was very narrow but they had a very old "Wendy House / Play Room" at the bottom that had not been used for years. Problem solved! 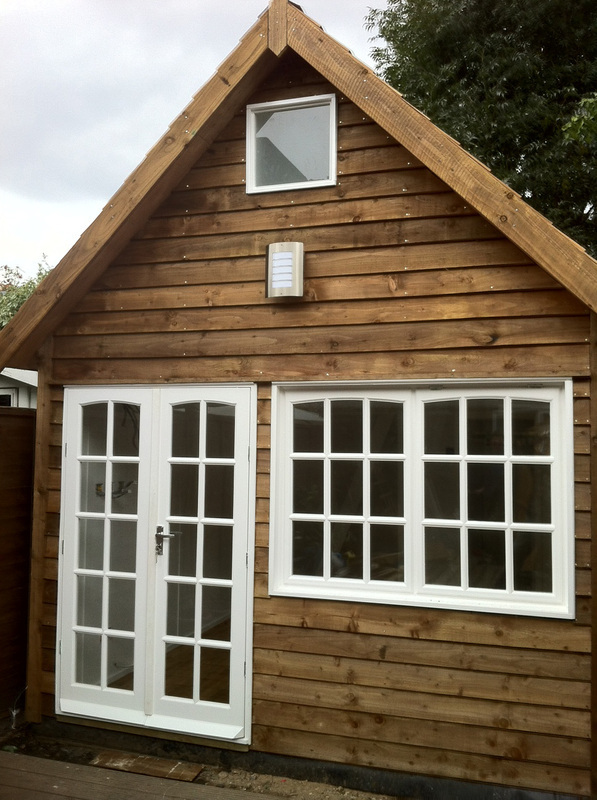 We removed the old Wendy House and built a Bespoke Garden Office in its place. 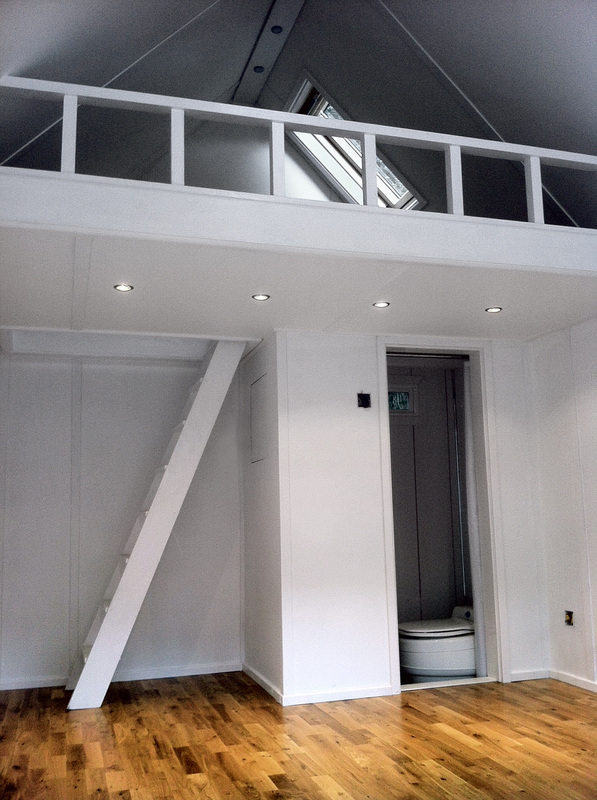 The Garden Office was just under 4 meters tall, had 12 square meters of floor space and the added advantage of a double bed area suspended above the small shower room. Plenty of room, if not more than enough for what he needed and what the family were expecting. As it was to be used all year round, the new garden office had to be fully insulated, have double glazed windows and have heat, light and power. The total cost fell well inside the budget set as they decided to do the decoration them self, remove the old Wendy House and level the ground ready for us to instal the re enforced concrete base. 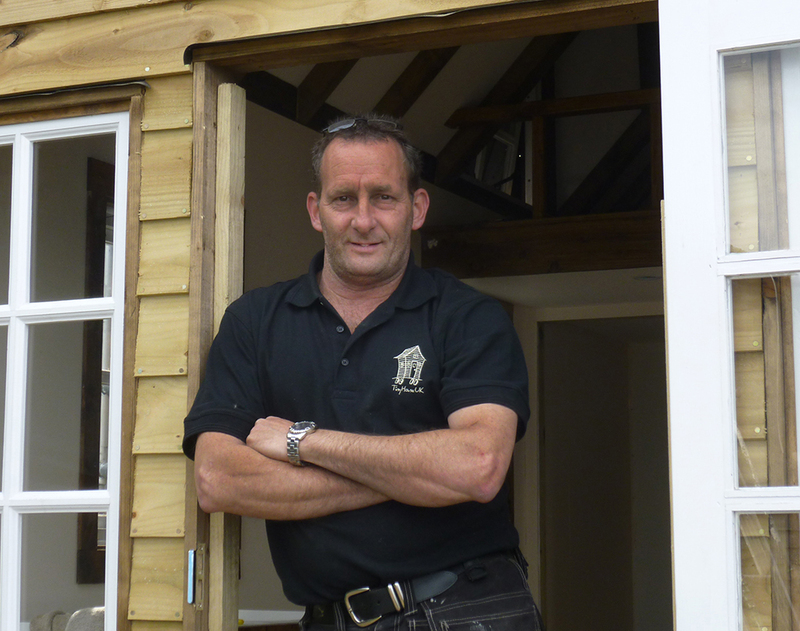 Your New Garden Office will be built to your own personal requirements. You may want high ceilings for storage or an upper floor, lots of power points. Fully insulated walls with solid floor boards, a reception area for customer meetings. 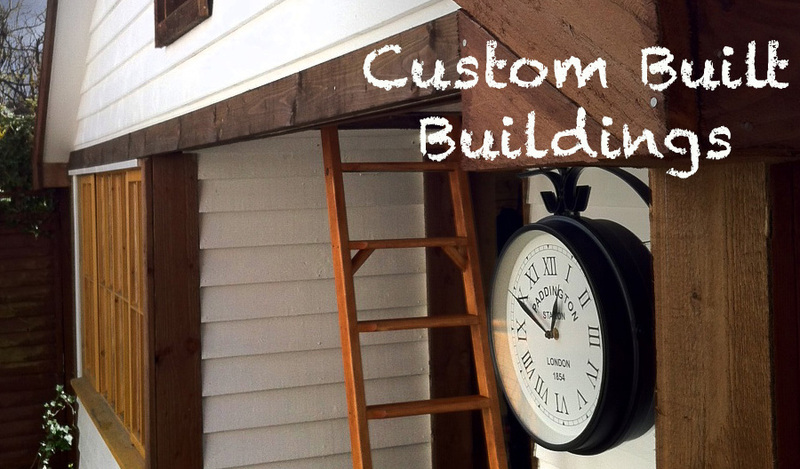 You may even want it to look like an American Barn. What ever you need your Home Office to be, rest assured, we can build it... and it will be built as strong as your house.We can build a bespoke Garden Office to fit your needs, to include all the extras you would find useful to make you feel comfortable in your new garden office. Extras include, composting WC, Solar power, hot water shower or a cozy log burner for the winter. It will be a pleasure to go to work every day. Bespoke garden office built in your garden at home in Surrey, Berkshire, North Hampshire and West London.